WPEngine vs Flywheel  - Which is the Best Managed WordPress Host? 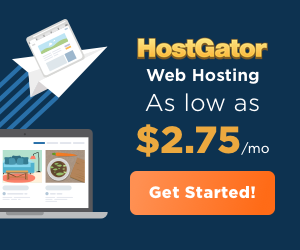 Whether you’re just a hobbyist starting out with his first website, or an entrepreneur scaling up for his 1000th, choosing a web host can be a major decision. Making sure that the host you choose has the power and support you need for the right price makes the entire process way easier. But how do we go about sifting through all the marketing jargon and special offers sprinkled around the internet? There are new hosts popping up all the time making promises about their uptime and server hardware, and new hosts as well constantly vying for our attention. What we need to do is get a good, focused look at what our website needs, and how the various hosting services on the market can fulfill those needs. One of the best ways to do this is to focus on two specific companies, and compare their various features and price points to determine which one is the superior choice. 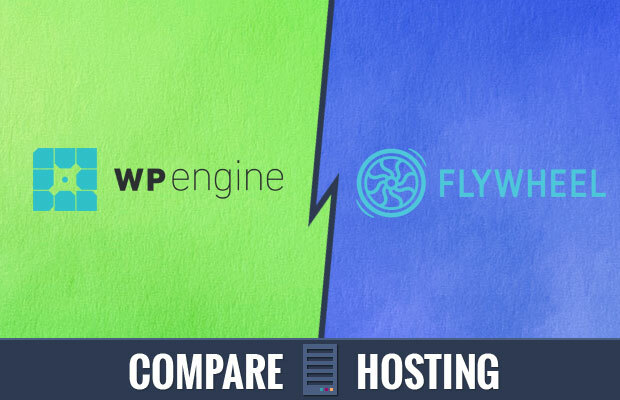 Today, we’re taking a look at two WordPress-oriented hosting services; WPEngine and Flywheel. These two hosts offer specialized hosting designed for use with WordPress. While both of these sites are designed to offer the best speeds on the market with versatile price structures designed to meet your needs, there are a few key differences between the two which could make or break your hosting decision. In order to start us off, we’re going to take a look at WPEngine, who they are, and what they’re about. 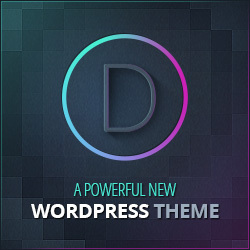 WordPress is a powerful tool for web designers. It allows them to easily create and manage websites capable of hosting and serving a wide range of content. WPEngine is among the leading WordPress-based hosts available on the hosting market today. According to WPEngine’s own website, 30% of all websites are built with WordPress, and 27% of the top 10,000 websites by traffic are powered by WordPress, as well. This really shows how WordPress can be a very effective tool for a wide variety of websites. WPEngine’s various plans offer a varied array of WordPress-optimized services, and they also offer an expert level of customer support. Their easy-to-use interface and library of accessible knowledge make learning to use the platform effectively a breeze. In order to really get a good idea of what WPEngine has to offer, let’s take a look at some pros and cons. WPEngine’s functionality and support are a really good option for newbies and experienced web designers alike. Their global presence and learning resources make their platform very versatile and easy-to-use. They have a lot of options for people wanting to scale up their online presence, as well. Without taking a look at price, it can be hard to get a good idea of how these features stack up against the competition, but we can go over that in a moment. There are definitely some cons to go along with these pros, and it’s always a good idea to round out our research before we decide. Next up, we’ll be taking a look at how WPEngine tends to fall short compared to the competition. As you can see, there’s nothing major here that would really deter the right customer. There are some things you would need to keep in mind if you were going with WPEngine, but without taking a look at what other companies have to offer, it’s hard to get a good idea of how WPEngine stacks up. WPEngine seems like a good option for smaller-scale websites and newbies, as they offer things such as shared plans and a knowledge base to get you started. That being said, they still have a lot of possibility for scaling that we can get into once we take a look at price. For now, we’ll switch gears and take a look at Flywheel. Flywheel offers managed WordPress hosting “built for anyone creating beautiful sites”. Their powerful WordPress platform promises to remove many of the hassles of hosting by streamlining your processes. They were started in 2012 with a mission to improve the lives of web designers everywhere who use WordPress. They offer a wide variety of plans designed for streamlined and managed WordPress hosting. They also have some options designed for website resellers, which is a nice touch. They have a bunch of free demo and staging features which allow you to make sure your website is working properly before it goes live, which is also another nice little tidbit to go along with the whole package. Since Flywheel is focused more on managed WordPress hosting, which streamlines a lot of the features and tasks involved in maintaining a WordPress site, it’s a little bit different from WPEngine. In order to get a good idea of how the two companies are different, let’s go over some of the pros and cons of Flywheel. Cloud-based infrastructure. Flywheel has cloud based hosting infrastructure powered by Google Cloud. This gives you very powerful hosting capability in a managed suite, streamlining a lot of the process while providing all the power your site needs. Worldwide presence. Flywheel has servers in Asia, North America, and Europe, ensuring that they can offer you fast hosting services based on where in the world you live. Their worldwide presence isn’t quite as developed as WPEngine, and they lack the various geotargeting features that make it really special, but this is still an attractive option. 30-day money-back guarantee. Like all good hosts, Flywheel offers a refund on services purchased if you cancel within 30 days for yearly plans. This is a fairly standard feature, as well, but it’s nice if you’re interested in minimizing the risk involved in giving Flywheel a try. It’s always a good idea to check out their refund policy on their website, as well. Knowledge base. While it isn’t as diverse a library of knowledge as WPEngine has to offer, Flywheel has regular articles and blog posts talking about various features and tips related to their platform. It doesn’t quite compare to an actual knowledge library designed to acclimate new users to the platform, but it’s nice to have some literature related to the hosting features, anyways. Varnish caching engine. Flywheel hosting is powered by the Varnish cache server, providing fast memory based HTTP acceleration, customized to work great with WordPress. The varnish caching engine is well-known and reliable caching solution that promises to speed up websites by up to 1000% by caching webpages efficiently and effectively. 9% uptime. Flywheel guarantees an uptime of 99.9%, which is nice for websites that are downtime sensitive, or any content hosting in general. Time is money, after all. Some reviews claim that they have had 100% uptime after 9 months of service. Demo sites for free and pay when they go live. Flywheel’s site demo feature allows you to demo your website to make sure it’s working properly before it goes live. You also have the ability to pay once the site goes live, allowing you to demo your site for free. This is nice for users who do a lot of experimentation with their content. Website cloning. Flywheel allows you to clone entire websites instead of creating new ones from scratch every time you want to expand. This feature has a wide range of uses, and is particularly attractive for website resale or designers who sell their websites after designing them. Free migration. Like any good web host, Flywheel offers free migration onto its hosting platform. This is great if you have a website ready to migrate over from a host you aren’t happy with, but it’s not such a big deal if you’re just starting out. It’s still a good option to have either way. Website staging. Flywheel provides website staging services designed to troubleshoot your website and all of its features before it goes live. This is a nice feature to go along with the demo features listed above. Overall, these features can make Flywheel a very friendly website for new users and people who experiment a lot with their website design. Just like with WPEngine, there’s a lot to like. Their cloud-based infrastructure makes their hosting very powerful at a very competitive price point which we will go over in a moment. For now, we’re going to move on and take a look at a few ways in which Flywheel tends to fall short compared to the competition. No phone support. Flywheel offers 24/7 support through live chat and ticket system, but doesn’t have any option for phone support. This can be a bit frustrating, especially for newer users who might need to use the support features more than other users. Relative lack of hardware transparency. This is kind of a nit-picky complaint, but it’s not easy to get an idea of the hardware powering the infrastructure behind Flywheel’s hosting services. However, since the infrastructure is powered by Google cloud, it’s very probable that it is some of the best hardware in the industry. Lack of shared, VPS, and dedicated plans. Flywheel is a cloud-based service, and they don’t have any shared hosting plans, plans which use VPS, or plans offering dedicated servers. This is fine for websites and business models that are built around cloud-based services, but it can be kind of limiting for smaller-scale sites or users who want to use VPS. Much like with WPEngine, the disadvantages aren’t all that major, and it really depends on what kind of website you want to build if you’re going to go with Flywheel or not. The lack of phone support is fairly damning however, and serves to make Flywheel less of an attractive option for newer users or smaller-scale businesses. In tandem with the lack of shared plans, this makes Flywheel very limited in terms of scale compared to WPEngine. That being said, we won’t really get a good idea of how these two sites stack up until we take a look at how all these features compare side-by-side. Next, we’ll examine both of these companies in terms of three categories: functionality, support, and price. While Flywheel obviously has the power of Google’s cloud services at its disposal, WPEngine has a global presence which outpaces Flywheel, and a knowledge base for getting new users acclimated to their service. It’s also important to keep in mind that Flywheel doesn’t offer shared, VPS, or dedicated plans. This will become easier to judge when we take a look at price, but it seems like WPEngine probably beats out Flywheel in terms of smaller-scale functionality and options. Flywheel still has a wide range of interesting tools and options at its disposal, and remains a powerful option for web designers who know what they’re doing. In the end, it depends on what your website needs. Next, we’ll take a look at support. WPEngine has very good customer reviews talking about its customer support. They also offer their support through 24/7 live chat and over the phone. There’s always some reviews online that show some dissatisfaction with customer service, but WPEngine has a very nice track record. The elephant in the room here is that Flywheel doesn’t offer any phone support. This can be very frustrating for newer users or users who are used to dealing directly over the phone, in general. The obvious winner in terms of support in this comparison is WPEngine, due to Flywheel’s lack of phone support and WPEngine’s relatively good reputation for customer support. Before making our final decision, we’re finally going to take a look at price. This is the make-or-break factor for many users. There’s no point in paying for the best services out there if they don’t match your website’s needs and budget. Both of these companies have widely different payment plans, and options available based on what features you’re going to need. Flywheel offers a wide range of plans for a wide range of scales. Their cheapest plans start at $14 per month, and the most expensive start from $229 per month. They also have options for customized plans if you need more power than what their prepackaged plans can offer. Their Tiny plan gives you 1 WordPress install, 5,000 monthly visits, 5GB of disk space, and 250GB of bandwidth. The Personal plan bumps this up to 25,000 monthly visits, 10GB of disk space, and 500GB of bandwidth. The Professional plan goes for $69 per month and up, and throws in 100,000 monthly visits, 20GB of disk space, and 1TB of bandwidth. For plans with a little more power, they have the Freelance plan. Starting at $92 per month, which includes 10 installs, 150,000 visits, 40GB of space, and 4TB of bandwidth. The Agency plan bumps this up to 30 installs, 600,000 visits, 120GB of space, and 8TB of bandwidth, for $229 per month. The custom plans offer 30+ installs, millions of monthly visits, custom disk space and bandwidth, and all the other features included in their other plans. The price points here are very comparable, and both sites offer a powerful and diverse set of features capable of fulfilling the needs of a wide range of websites. Overall, WPEngine remains the frontrunner for smaller-scale websites, despite the higher price point at smaller scales. This is due to the support and knowledge base available through WPEngine which Flywheel does not provide. As always, if you have some thoughts of your own, and feel like there’s something we’ve missed, let us know!